History in a Nutshell: Poland has had, to say the least, a turbulent history. At certain times the strongest power in eastern Europe, Poland has been crisscrossed by invading forces for hundreds of years, namely Prussia, Austria, and Russia, followed infamously by Germany during World War Two, before coming under the control of the Soviet Union. Independent since the fall of the Union, Poland has made quick work of becoming eastern Europe’s largest economy, after joining the European Union in 2004. 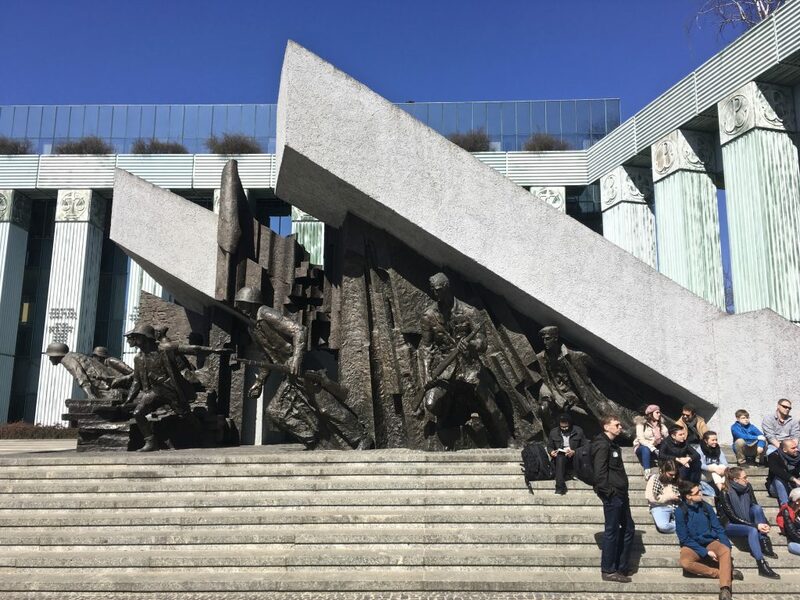 Fun Fact(s): Scattered throughout the city are public benches that play music by Frédéric Chopin, Poland’s most famous composer, marking important sites of the musician’s life. Most passengers arrive at modern Warsaw Chopin Airport. Take the easy-access airport train (runs at least every 20 minutes) to the city’s central station (which also connects via rail to many western and eastern Europe destinations). This central station, unlike many, is actually central. Warsaw is relatively easy to navigate. With superb public transport and infrastructure, including new bike lanes everywhere, there’s no excuse for not getting around. But you may want to just walk anyway. 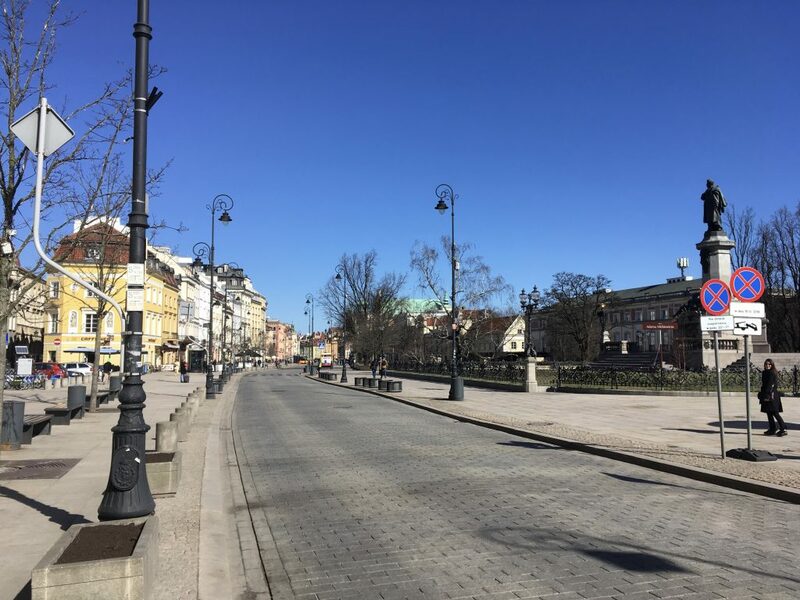 Warsaw is extremely walkable in general, and most of the sites are centrally located. If you do want to hop on a bike though, downloading the Veturilo Warsaw bike-share app (in several languages) is seamless, and so is picking up and dropping off your bike at any of the many stations. While I mostly walked and biked in Warsaw, I did Uber once, to the airport on my way out. Worked like a charm. Warsaw makes for an excellent weekend city getaway on its own, or as a gateway to the rest of beautiful Poland. No matter how you do it, great about the city is its concentration of interesting sites, ease of access, and jovial atmosphere year-round. Best of all, however, is the walking. Modern and tech-y downtown flows right into classical 19th century, which in turn flows into the old town, all despite your average Soviet concrete apartment blocks, which somehow blend into the mix. While Warsaw deserves more than just a day, you can definitely do the essentials at a relaxing pace and have a great time. But don’t forget tons of dumplings (pierogi) at mealtimes! Most accommodation, from hostel to luxury, is somewhere between the central station area and the old town. 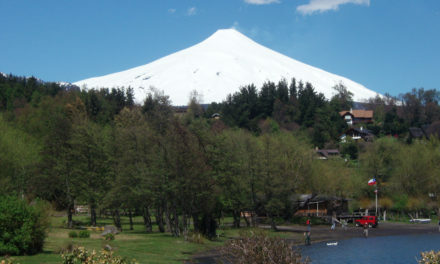 Starting here and heading to the old town is your best bet. You’ll probably end up walking along grand Krakowskie Przedmieście (closed to cars on Sundays). 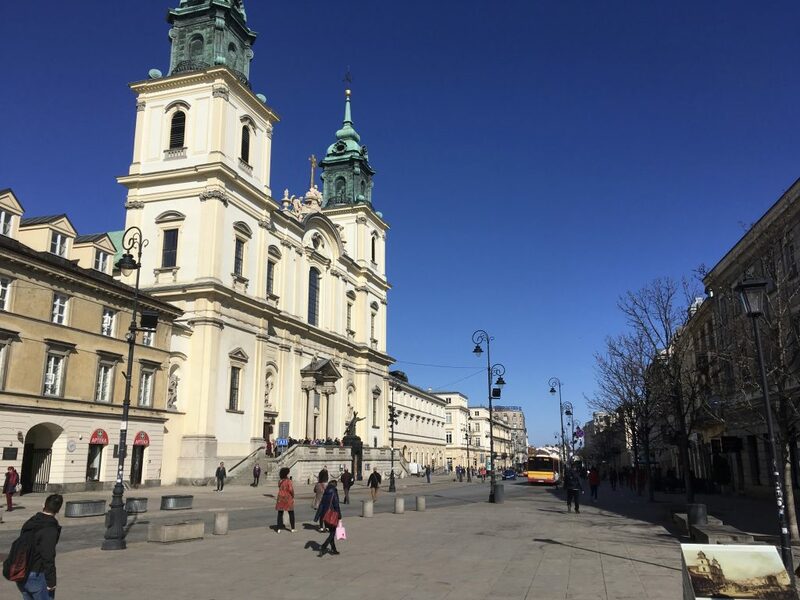 Here, you’ll already get a taste of what was once the famed polish art de vivre before the war, when Warsaw was considered the “Paris of the East.” Don’t miss the Holy Cross Church, where Chopin’s heart is enshrined in a marble column. 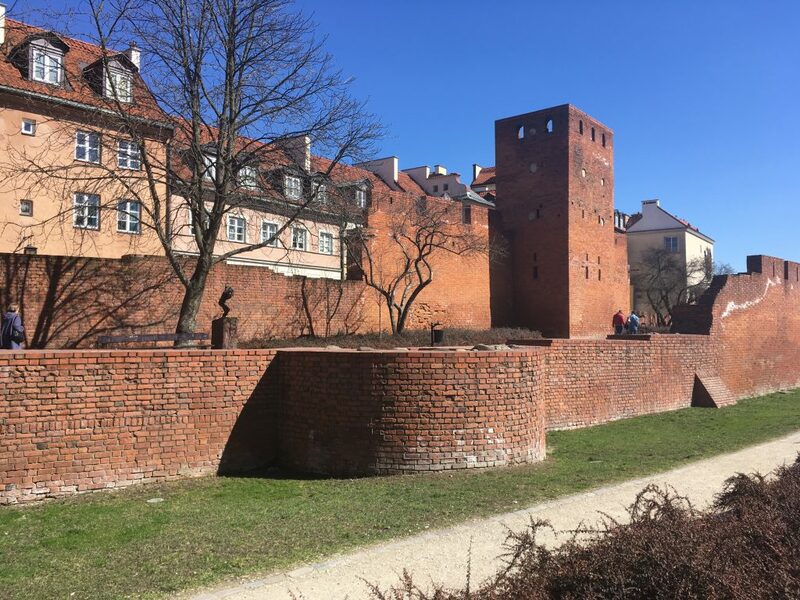 At one end of the old town is the Warsaw Royal Castle, on stately Castle Square with its pillar topped by Sigismund III. Though reconstructed, like the old town, the castle has been meticulously brought back to its former glory. Almost as impressive as the vast gilded rooms is learning how each single piece and artifact was recovered, restored, and placed exactly where it stood before the Second World War. Don’t miss the two gorgeous Rembrandts in the basement. After the castle, explore the old town. 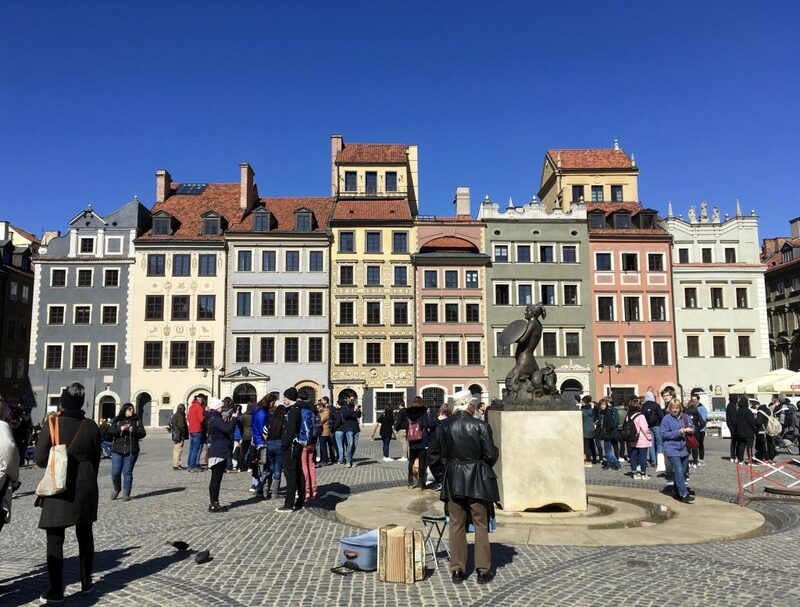 See the market square (Rynek Starego Miasta), views of the Vistula river, and what is allegedly the world’s thinnest townhouse. 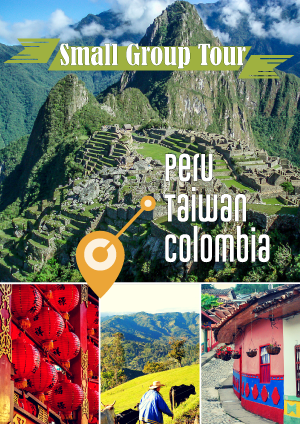 Hunt for pottery and souvenirs in the winding streets. And keep your eye out for a good lunch spot, like Gospoda Kwiaty Polskie, or Karmnik, for dinner later. 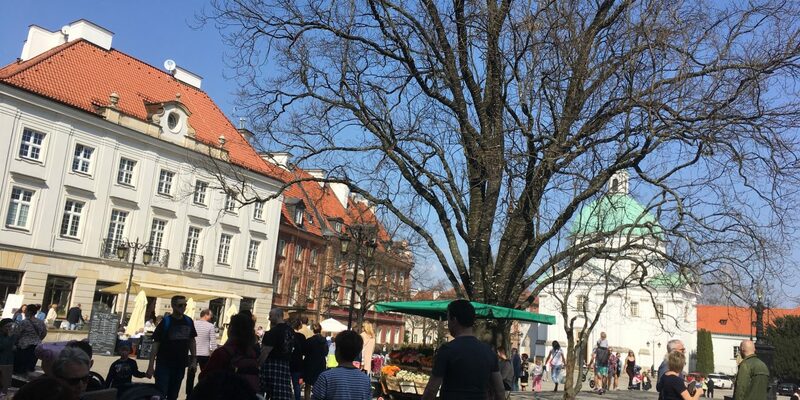 At the other end of the old town, make your way through the Barbican (old gatehouse) to Rynek Nowego Miasta, or “New Town Market.” This is another charming square lined with plenty of yummy restaurants. Make your way to the nearby Saxon Gardens to enjoy some green. A great spot for people watching, this central park is a well manicured, quiet spot to chill for Varsovians. 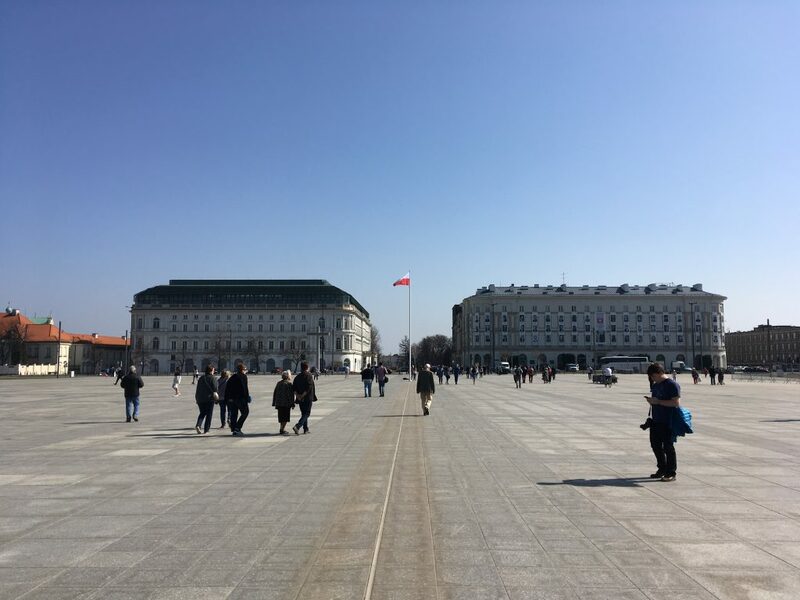 Right outside the park is Piłsudski Square, and the tomb of the unknown soldier. The Saxon Gardens aren’t the only bit of green here. 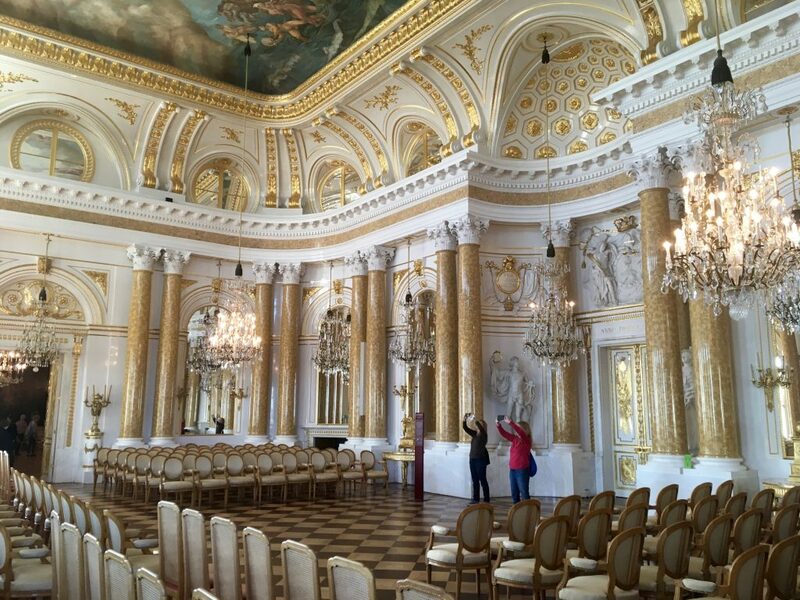 Check out Łazienki Park and the Palace on the Isle. 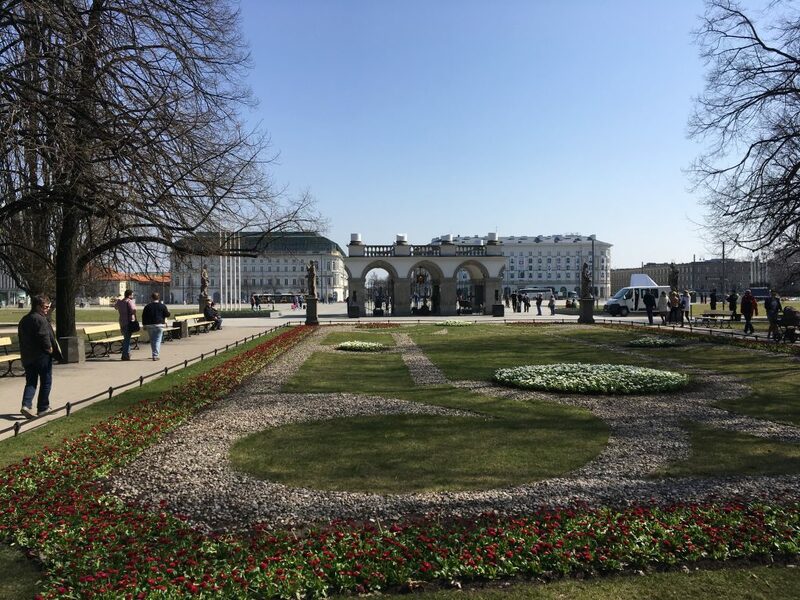 During my time in Warsaw, I continuously relished in the extensive amounts of green space and public parks. And it was a pleasure to see so many people out of doors, cycling, walking their dogs, and enjoying their city. 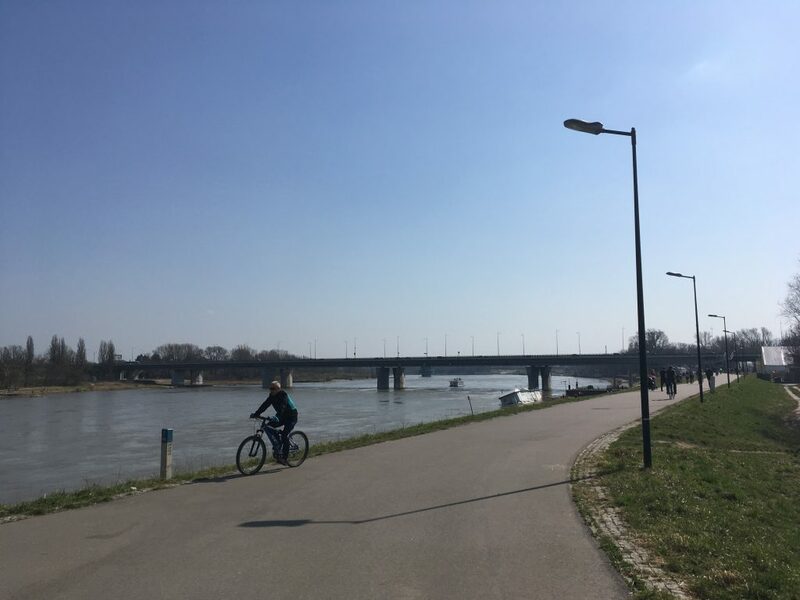 I even joined in on the outdoor fun with a bike ride along the Vistula one gorgeous spring morning. 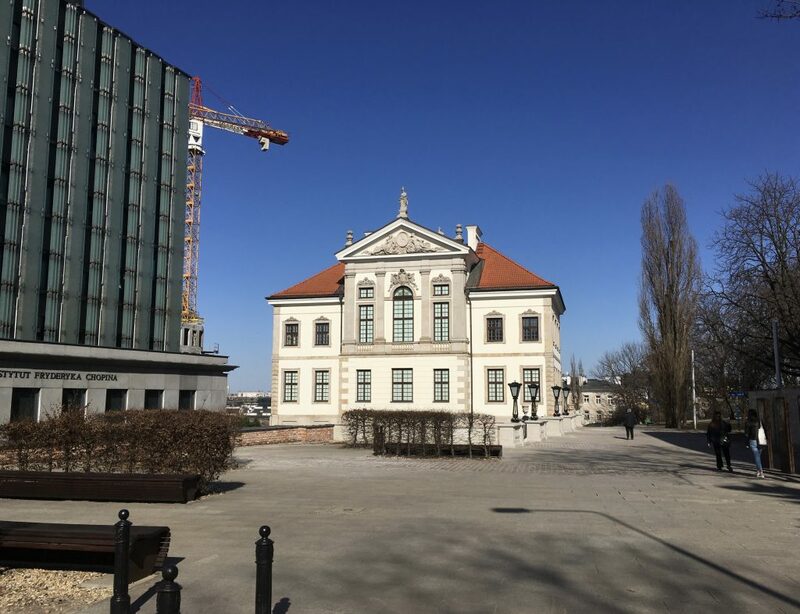 Your last stop of the day is the elegant Chopin Museum, honoring Poland’s most famous emissary of the arts. Though Chopin left Poland forever when he was 20, Poles’ unconditional love of him is touching. The museum covers multiple floors of a 17th century palace in central Warsaw. Open till 8pm, take your time with the hopeless Romantic, in the basement listening room.